Just this week, Toys r Us, the largest toy chain in the US, filed for bankruptcy. Why? Because they're losing business to discounters and online sites, including the biggest toy seller in the US Amazon. And secondly, because they waited too long to develop their own e-commerce business. While e-commerce has been slowly nibbling at the retail market for over 20 years, in the past four years it's started to gorge on the market. In the wake of the e-commerce juggernaut are a trail of businesses that ignored online retailing, or just didn't know how to make the web part of their own strategy. The good news is that many small retail businesses have taken the leap online in various ways and are reaping the rewards for it. By blending the benefits of e-tailing with personalised, expert service, they're carving out niches that Amazon and other retail Godzillas can't compete with. Here's where e-commerce is headed and what you need to know and do. The marriage of web and offline customer experiences creates opportunities and challenges for retailers. People want the ease of online purchases. Around 40% say it's the most important thing when buying. As a result, many businesses will no longer need to keep a large amount of stock at their shops. However, they will need to work out ways to have products available at the customer's convenience. That may mean keeping stock at a warehouse or buying on consignment. deliver further afield (other suburbs, cities, even states and countries). People are going to connect with businesses in many ways, even for one purchase. So, it will be vital to offer continuity and personalised buying experiences when they visit you on phones, tablets, PCs and in-store. E-commerce companies, and business in general, are still trying to work out how to best integrate social media into their sales and marketing channels. However, there's no doubt about the power of social media, even now. If word of mouth recommendations in your local area are the most cost-effective and credible way to get business today, social media can take that to the entire world in no time at all. At no cost. allowing payment through Facebook messenger. With all the excitement over social media, video, personalisation, virtual reality and co, everyone seems to have forgotten the most effective online marketing tool of all, email. Emails are cheap to send, delivered instantly and go straight to your audience via a channel most people use every day. Soon, emails will become a transaction-based channel, offering clients highly personalised experiences. If you want to increase your website traffic and sales, get serious about email marketing. Even if the web shuts down tomorrow, or Google makes you pay to be seen on search engines, you'll always have your email database. Machine learning and artificial intelligence might sound like something out of an Arnie movie, but they're coming to a retail environment near you. And rather than fear losing work to them, you should look at ways to make IT work for you. These technologies are making it easier for businesses to cut costs of data mining (finding out helpful information about customers and what they need) and offer a better, more personal customer experience. offer relevant, personalised experiences for every visitor. And that means more happy customers, sales conversions and profits. The retail industry is going through big changes. But like every industry where there is upheaval, amazing opportunities present themselves for businesses that are prepared. 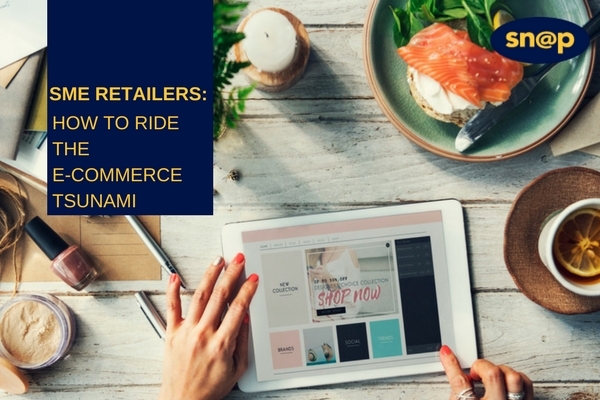 If you have a retail business, now is the time to acquire the right knowledge about e-commerce and put in place the right strategies. That will set you up ready to ride the wave of success over the coming years and decades.